Through the generosity of our supporters the Vicar’s Relief Fund provides essential grants at short notice, and often within 48 hours. When someone’s life has fallen apart, it can help them move into a new flat, cover rent arrears so they don’t get evicted, or provide basic furnishings. 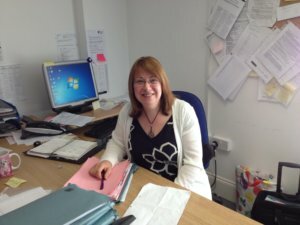 When someone is homeless or facing eviction, caseworker Lesley Clifford applies to the Vicar’s Relief Fund to help them. Here she explains what makes the Vicar’s Relief Fund unique. ‘I often go straight to VRF if the case is urgent and needs an urgent response because your system is, in my opinion, the best of all the charities I’ve used. Other charities can take six to 12 months for a decision on a grant. The VRF has the quickest and most efficient decision-making process.